It can be hard to find a brand that makes classy shoes that won’t burn a hole in your pocket. We tasked our team of in-house buyers to find stylish men’s shoes at affordable prices and they certainly delivered. One of their favourite finds, and soon to be your favourite, was Catesby. Shop from our range of Catesby shoes below to inject some serious style into your wardrobe at low cost. The selection below has designs for all seasons. Their casual shoes are perfect in the summer. They’re well-built, sturdy and lightweight. Perfect for holidays, summer parties and a great piece of casualwear. Our Catesby men’s brogues incorporate timeless, classic design with top quality. Their thick soles and well-sourced materials mean you’ll get plenty of wear out of these. 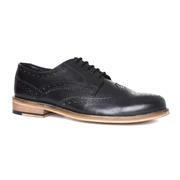 We’ve had amazing feedback on these brogues which you can see for yourself. And when it comes to winter, our Catesby men’s boots are the perfect addition to your winter wardrobe. 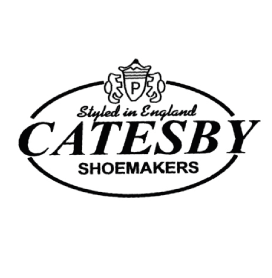 Don’t pay over the odds for a good pair of shoes, simply shop from our range of Catesby shoes instead. Our customers love them, and you will too. Don’t forget that there is free & fast delivery available on all of our products. There may also be some special price cuts and seasonal offers below so don’t miss out! Not what you’re after? Head to our men’s footwear section and shop from there, we stock plenty of other footwear brands too! 16 products from £24.99 to £49.99.